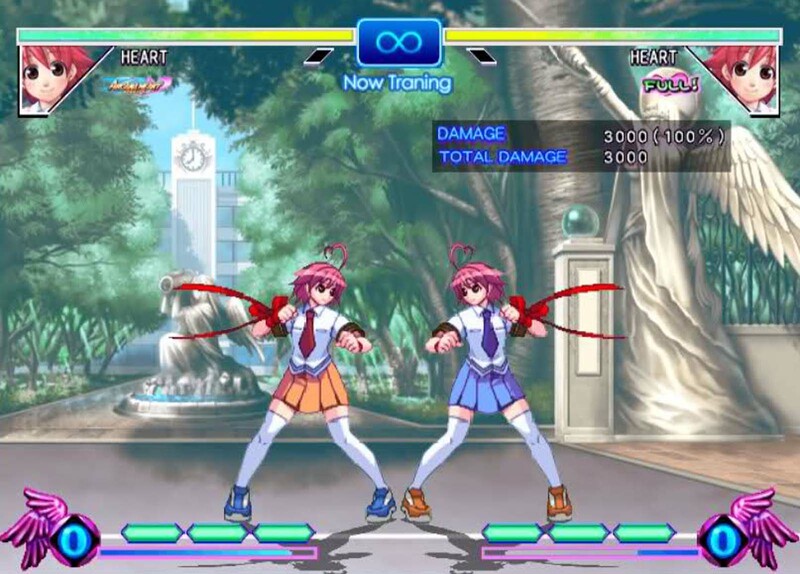 Arcana Heart is a 2D fighting game that features an all female cast and utilizes an unique "homing dash" mechanic. 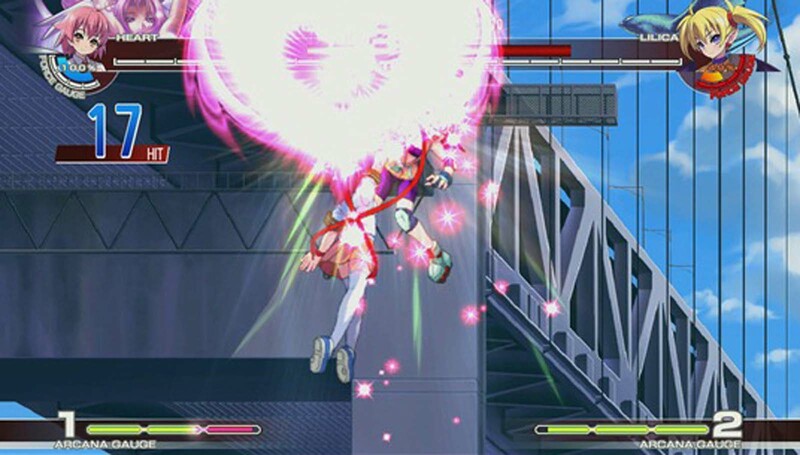 When using the Homing Dash, players can fly through the air towards their opponent. 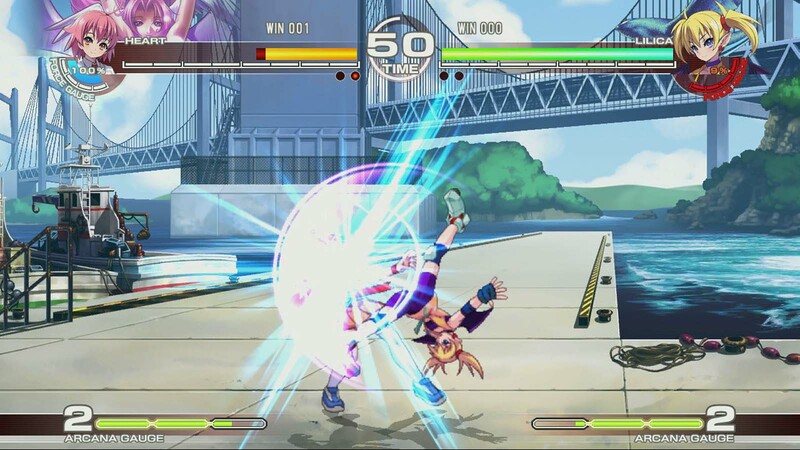 The playing field is also a lot larger than most 2D fighting games as characters can attack each other from much greater distances than in games like Street Fighter. 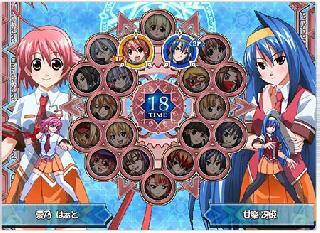 Characters also have access to Arcanas that give the player specific moves and traits. Characters and Arcanas can be mixed up so players can find the combination that works best for them. The game has an Arcade Mode and Story Mode, but nothing else that's really note worthy. 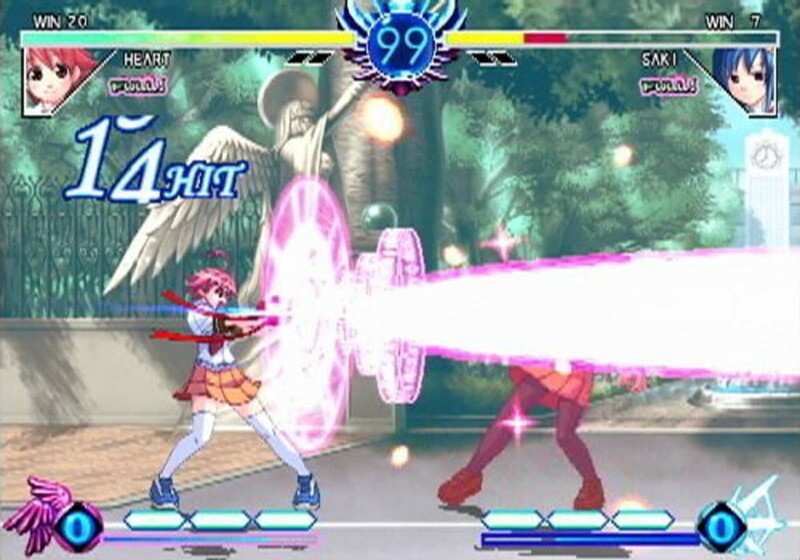 Overall, Arcana Heart is pretty good if you're looking for something different in the "anime fighter" genre. Now you can add videos, screenshots, or other images (cover scans, disc scans, etc.) for Arcana Heart (USA) to Emuparadise. Do it now! If you haven't noticed yet, we have a retro game of the day feature (top-right of the screen) wherein we feature a new retro title every single day! Now, you can vote for your favorite games and allow them to have their moment of glory. 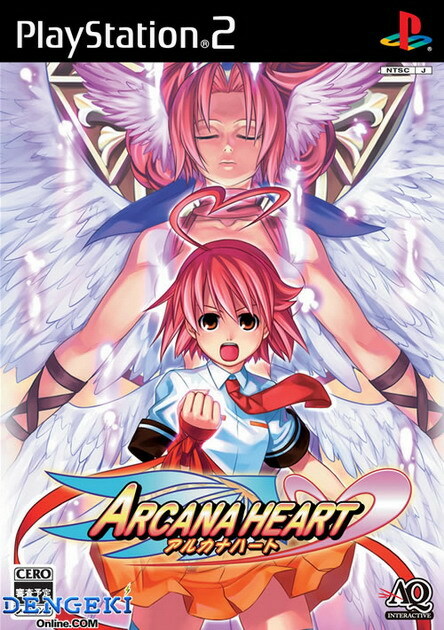 Click on the button below to nominate Arcana Heart (USA) for Retro Game of the Day.